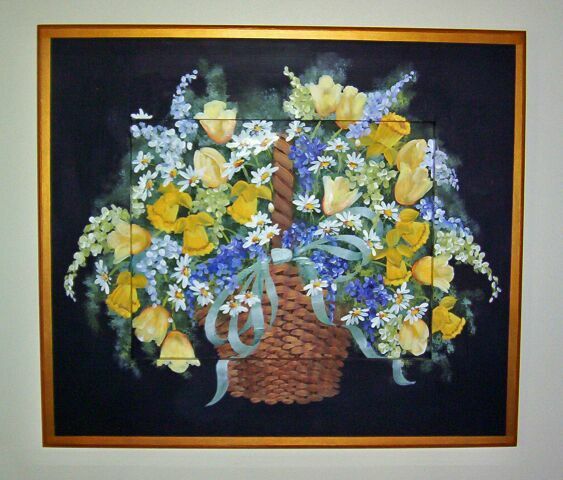 This hand painted picture features a variety of tulips, lilacs, daisies, and daffodils in a basket. It is done on a wooden insert that spreads out onto the 4 1/2" frame giving it a 3 dimensional feel. 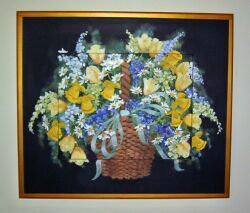 The background is dark green with a metallic gold border. It is signed on the front and dated on the back. It measures 21 x 24. 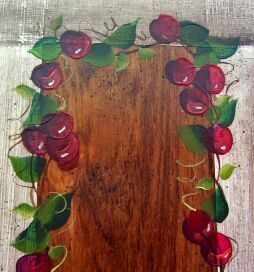 The front of this solid wooden cupboard shows off our hand painted berry design. 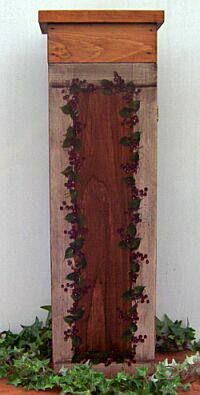 There are 2 shelves inside and it is also available in a cherry design (click on photo to see this design). Both designs have an antiqued and flyspeck finish. It measures 24 X 8 X 4 1/2.